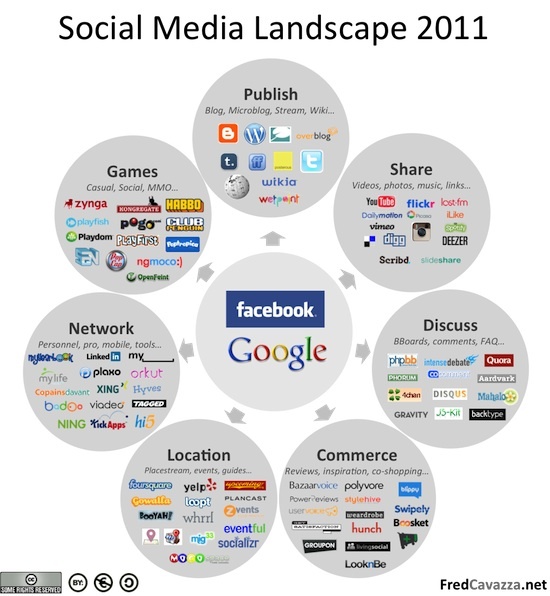 Social Media Landscape 2011: Why are Google and Facebook in the center? Why are they not integrated in one of 7 main players? 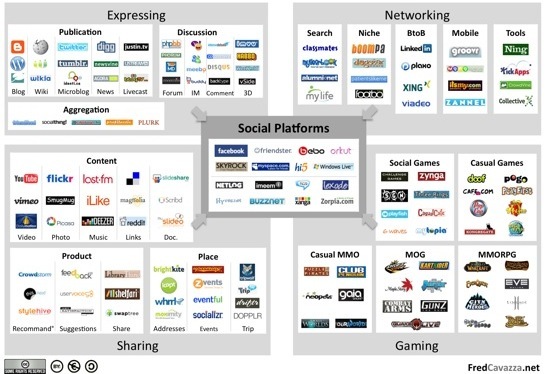 Ping: The social media landscape 2011 | Let's get digital. Excellent, thank you. I found your Landscape 2011 on Flickr. 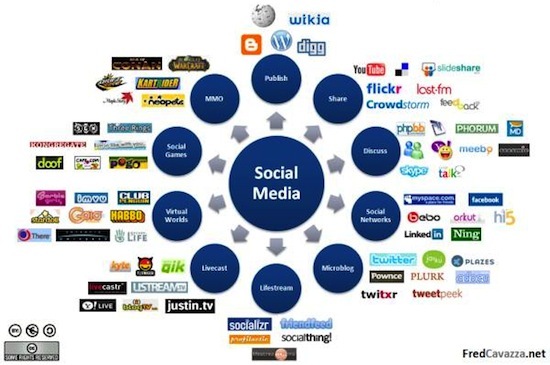 Am I allowed to use it in my presentations about social media? Fred – very useful, thank you. Please let me know if I am allowed to use your Landscape and Comparison graphics in my own presentations (with your credits). There is no doubt that office and windows are our daily necessities.To be a success, no matter whom, having a good knowlege of microsoft office and windows becomes an indispensable course.So now our website provided the most publicly available version of Microsoft Windows in high quality and competitive price. This is a great summary, do you have a 2012 version? You have a great site, thanks for sharing. You really have to try Chatroulette 2.0 . I liked it so much and it’s very easy to create group of chats, where you can put any name you choose.